This is fun! 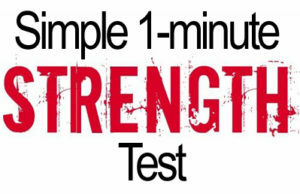 I want you guys to do this incredibly simple strength/grip test and let me know your results! Best place to tell me is on my facebook or Instagram. No special equipment. Just a bar to hang from – that’s all we’ll be using. And we’ll be doing – THE ONE-ARM HANG! (quick note before you read on – the Free MusleHack Android app was just released! 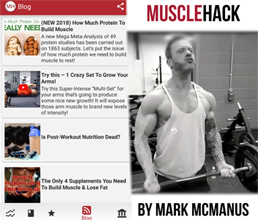 Go to the Play store and search for musclehack. 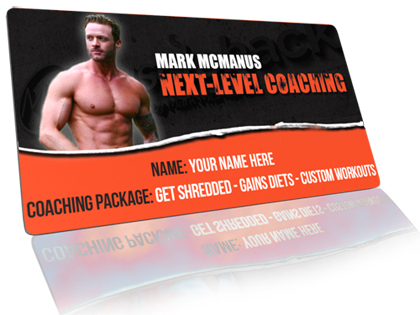 Track your workouts and get my free tips). It would be hard for me to imagine that any of you using my THT training (click here to download the training manual and free app) could not do a one-arm hang for at least 10-seconds. You should all be much stronger than that. 10 seconds or less – Not good. you should practise more by hanging with 2 arms. When you can get to 60 seconds, move on to testing with one arm. 60 seconds – A fantastic result and you have far above average grip strength. You are one of the few! If you got this on your first attempt, you’ve probably been training for a long time! 90 seconds or more – Superior, top 1% elite grip strength. If you don’t get this, don’t worry. Most people don’t. But you can get there with practice! 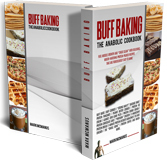 NOTE: You can increase the speed at which you build strength and muscle by jacking up your levels of the BIG 3 anabolic hormones completely naturally (testosterone, growth hormone and insulin). 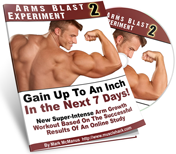 I’ll tell you how to do it in my free guide.